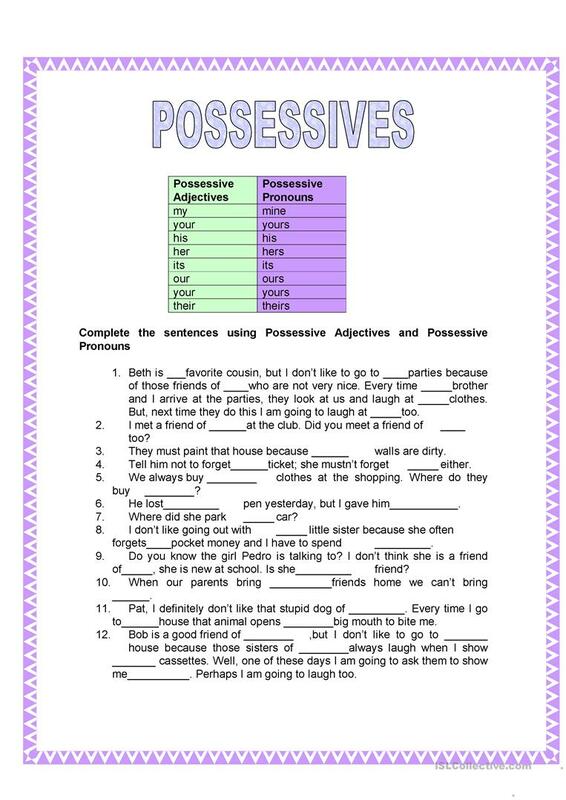 A fill in exercise with possessives adjectives and possessives pronouns. The above printable, downloadable handout is recommended for business/professional students, high school students and adults at Pre-intermediate (A2), Intermediate (B1) and Upper-intermediate (B2) level. It is valuable for teaching Pronouns: Possessive pronouns (e.g. my, mine) in English, and is a valuable material for honing your groups' Writing skills.